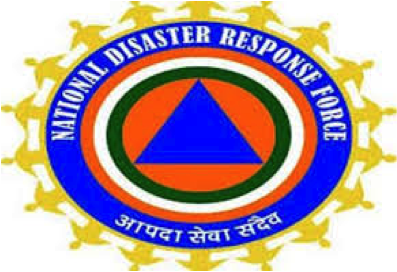 What is National Disaster Response Force (NDRF) ? 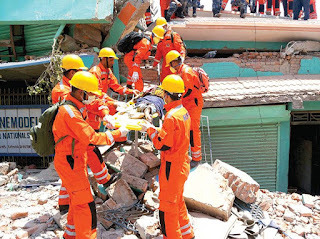 The National Disaster Response Force(NDRF) is a unit created by the government for the purpose of specialised response to natural and man-made disasters. It is defined in Section 46 of the Disaster Management Act, 2005. The NDRF works under the National Disaster Management Authority (NDMA) which lays down the policies, plans and guidelines for disaster management. Before the establishment of NDRF, there was no specially trained force to work in disaster situations. Govt. used to call army and/or paramilitary forces. But government had started feeling the need of dedicated force which will be well trained and well equipped to face disaster situations and conduct SAR operations in the affected area and which will be always ready for deployment in any part of the country. Towards this end, provision was made in Disaster Management Act 2005 and NDRF was established. 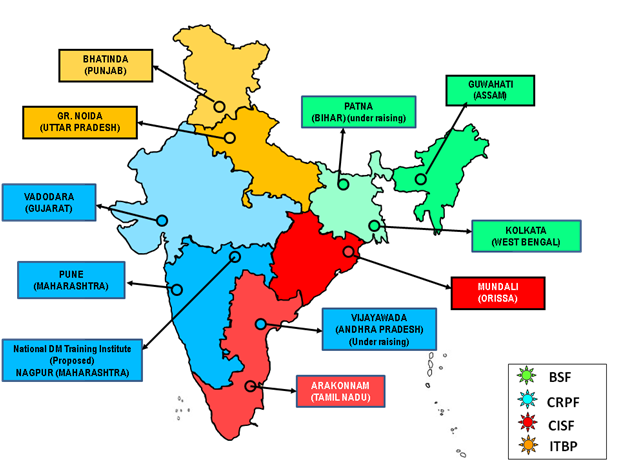 The NDRF consists of eight battalions of Central paramilitary forces - two battalions each from the Border Security Force (BSF), Indo-Tibetan Border Police (ITBP), Central Industrial Security Force (CISF) and Central Reserve Police Force (CRPF) for the purpose of specialist response in disaster situations. Servicemen from para military forces are deputed in NDRF for period of 3–5 yrs. They are well trained to carry out required activities. Also there are specialized teams to face various disasters like nuclear biological chemical disasters and etc. How many battalions NDRF have? NDRF battalions are located at twelve different locations in the country based on the vulnerability profile to cut down the response time for their deployment.